In case you didn’t know, the Centers for Disease Control and Prevention (CDC) has a page on their website dedicated to zombie preparedness. I find this fascinating. If the CDC themselves are attesting to blockchain technology as a viable solution with crucial implications for containing disease—in stopping contagion dead on its tracks, and effectively preventing an epidemic from breaking out into a full-on pandemic, it’s definitely worth looking at. While the concept of a zombie apocalypse is high on the list for games and TV shows, a real-life epidemic is obviously nothing to get excited about. In an article for the MIT Technology Review, Jim Nasr, chief software architect at the CDC’s Center for Surveillance, Epidemiology, and Laboratory Services offered a more serious tone about their work on blockchains. Can blockchain technology really save us from a World War Z situation? 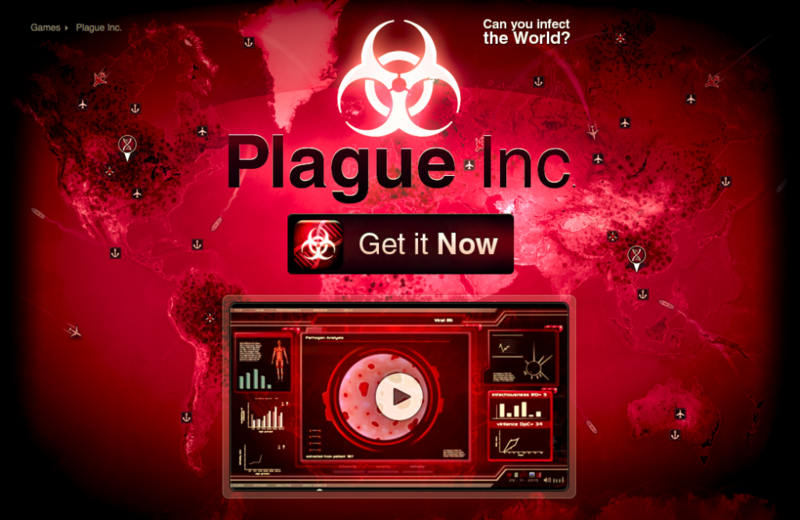 If you’ve ever played that game called Plague, Inc. by Ndemic Creations, you might already have an idea what a real-time disease monitoring system would ideally look like. Although the spread of disease there happens at game pace (unrealistically quick), and for sure no one would like real-world disease to spread as fast. Plague, Inc. Ndemic Creations. 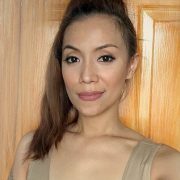 GIF from Steemit user sevoo. Obviously, for a blockchain to be able to do its magic at a time of a public health crisis, it would still require that network systems stay up. A World War Z situation—zombies rabidly wreaking havoc and running at fast speeds, may be an entirely different challenge altogether. But infected individuals walking around at, say, average sick people speeds, may be a more realistic context for assessing the role blockchain technology can play in stopping the spread of infection. I reached out to Hayk Vasilyan, a PhD candidate in Biomaterial and Tissue Engineering at the University of Southampton, for a more realistic (non-fictional) perspective on the matter. Vasilyan is currently working on BranchMed, a start-up he co-founded to develop blockchain technology and AI for specific use in secure collection and transmission of healthcare records. He currently serves as the company’s CEO. Vasilyan agrees with the CDC that real-time data access is a crucial aspect in responding to, and containing disease. Apart from the technical challenges to building a global infrastructure to deploy a blockchain-based global healthcare coordination system, Vasilyan points out a very human, and business-centric hindrance that would be difficult to overcome: the “question of ownership,” as he puts it. “As the technology advances, technical challenges like the speed of processing and the massive duplication of data will be resolved. The main obstacles to blockchain in healthcare will be around ownership—public vs. private,” Vasilyan explains. “It is a competitive advantage for hospitals to keep cost data to themselves. If they are forced to share with insurance companies, they might get different rates for different patients. It is difficult to share data in an environment in which these entities are for-profit. There were a lot of issues of compliance with existing HIPAA privacy regulations while keeping the data distributed across the network. However, public blockchain does not mean that information is going to be open to everyone, also the new generations of blockchain technology are permission-based which will solve all those issues,” he says. “Another major issue is the storage of the BIG medical data in a blockchain network, as the early versions of blockchain (Bitcoin) assume that everyone will have the copy of the Ledger. In the case of medical data, it will be impossible to distribute the data among all the network participants, but again with newer versions of blockchain, we expect to share only on the specified amount of nodes. However, this will make the data less secure,” Vasilyan says. To give a better idea of how big medical data will get, Vasilyan points to a report from the EMC and IDC, which estimated that healthcare data will have reached 153 Exabytes (164,282,499,072 gigabytes) in 2013, and will hit 2,314 Exabytes (2,484,638,580,736 gigabytes) by 2020. But Vasilyan believes all of this can be solved. “I believe the challenges can be overcome and blockchain will form a foundation for many innovative healthcare programs in the future,” he asserts. Of course, there are limits to what blockchain tech can do in any application. After all, medical records can only be as accurate as those reporting them. And if healthcare professionals fail at recognizing diseases in the first place, the accuracy of data is also compromised. Although other start-ups are on it. Other medical devices are being developed to make diagnoses more accurate, and cheaper too. I recently came across a project called Nano Vision, which plans to deploy what they call the Nano Sense Chip—which would supposedly “enable real-time streaming of molecular data.” In any industry, we expect to see the integration of different new technologies together. And there are lots of notable developments out there. Vasilyan points out that big data and analytical tools—which are already making huge strides in the medical field, are blockchain technology’s powerful allies in disrupting the industry. In fact, his start-up, BranchMed is putting these technologies together. “Experts have been able to take complex infectious disease datasets and feed them into large-scale computational disease spread models to generate hundreds of terabytes of computer-generated outbreak simulations. These simulations help fill in gaps in observed data using synthetic outbreaks and deliver novel insights into possible outcomes of outbreaks, including expected numbers of illnesses, hospitalizations, deaths, employee absences and monetary losses. Ultimately, these insights can help inform the world about epidemic risks and the best ways to mitigate them,” Madhav wrote. “Undoubtedly, blockchain and Big Data are a perfect match and will be used in predicting the spread of epidemics. At BranchMED we are going to develop the best-trained machine learning model operating on top of distributed, transparent and immutable blockchain-generated data layers,” Vasilyan says. Vasilyan adds that apart from disease monitoring, blockchains can help disrupt the pharmaceutical supply chain, and enable a more accurate, timely dispersal and delivery of direly needed medicine at a time of health crisis—times when real-time response is most critical. I asked him if he sees any possible risks to implementing this, and if they can be easily mitigated, to which Vasilyan replied that he doesn’t see any big risks. He goes on to reiterate the challenges that we should overcome as soon as possible. Hinting that the current state of blockchain technology is at its historical early stages, he compares it to the infancy age of computers—when they were as bulky as entire rooms. “Practically there are no risks in implementing Blockchain into the healthcare, only technical and cultural challenges during the adoption. We should accept that sooner or later the blockchain technology will be implemented in almost any industry it is just matter of time,” Vasilyan says.